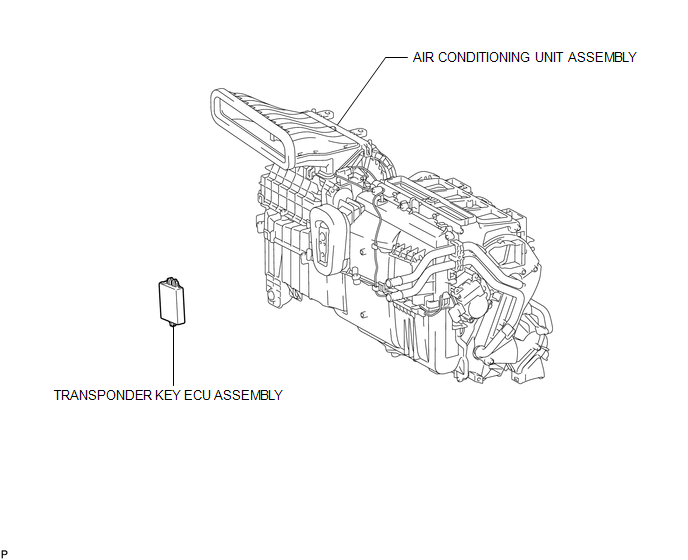 Refer to the procedure up to Remove Air Conditioning Unit Assembly (See page ). 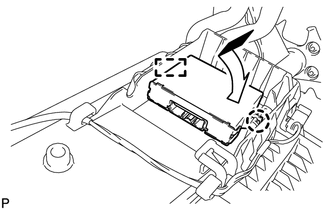 (a) Disengage the claw and guide and remove the transponder key ECU assembly. (a) Engage the guide and claw and install the transponder key ECU assembly. Refer to the procedure from Install Air Conditioning Unit Assembly (See page ). 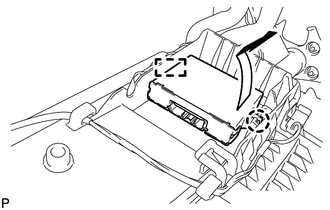 When replacing the transponder key ECU assembly, perform initialization (See page ).